Tate Modern is in Bankside, London. Visitors to the museum will enjoy British art beginning in the sixteenth century to the modern day and will be able to examine international contemporary and modern art. Tate Modern was established in 1897 and had only on site that displayed a small British art collection. 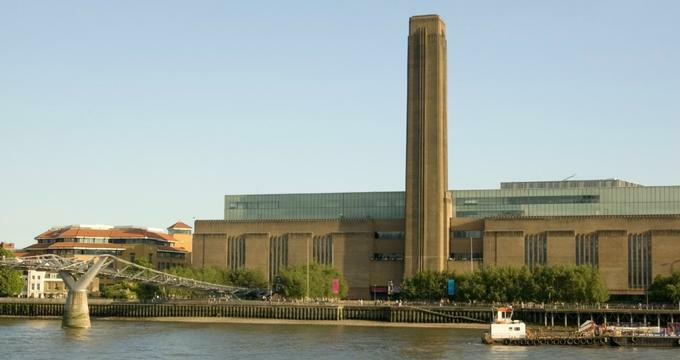 The Tate Modern of today has four main sites and the national British art collection from 1500 to present day. It is international contemporary and modern art includes almost seventy thousand pieces of art. Henry Tate was an industrialist who made his money as a refiner of sugar. He gave his collection of nineteenth century British art to the country in 1889 and funded the first Tate Gallery. He was a huge patron of Pre-Raphaelite artists. His gift of sixty-five painting to the National Gallery included Ophelia by John Everett Millais and The Lady of Shalott by J.W. Waterhouse. The gift was declined by the Gallery due to limited space. Tate donated funds to have another gallery built to house his collection in 1897. The Duveen family made large monetary donations to the original Millbank gallery resulting in large extensions to the gallery in the form of seven rooms to exhibit the Turner Bequest in 1910. The Duveen Sculpture Galleries were the first constructed just for sculpture in England. Tate Members was established in 1957 and called the Friends of Tate Gallery as a fundraiser to buy art and support and encourage the gallery’s work. The fundraising of Tate’s Members has made it possible to buy almost four hundred masterworks of art for the gallery including King and Queen by Henry Moore, The Snail by Henri Matisse, and Weeping Woman by Pablo Picasso. Tate Modern has several exhibitions for visitors to enjoy. Modigliani- Modigliani developed a distinct and recognizable illustrative style. His work was given little notice in his time, but now his seductive nudes and powerful portraits are some of the best-loved paintings from the twentieth century. The exhibition showcases the artists nudes. His more obscure sculptures are also on display. The exhibition also includes a virtual reality exhibit that is a recreation of the artist’s final studio. Ilya and Emilia Kabakov: Not Everyone Will Be Taken into the Future- This exhibition chronicles the artistic journey beginning with the early paintings, albums, drawings, and sculptural works created by Ilya in the 1960s in Moscow to his time in New York in the 1980s. Red Star Over Russia: A Revolution in Visual Culture 1905-55- The heart of this exhibition is the collection of David King a photographer and graphic designer. His collection includes more to than 250,000 works that are linked to the period between 1943-2016. Hyundai Commission: SUPERFLEX One Two Three Swing! - The rebellious artists SUPERFLEX have crammed the Turbine Hall at Tate’s Modern with swings. The swings then cross the gallery and come out in the landscape located to the south. Each swing was created for three people to reflect the potential of having more people versus less. The museum offers a wide variety of collections for visitors to peruse. Media Networks- This collection shows how artists respond to the influence of mass media. In the Studio- This collection explores the artistic process followed by artists to make art and how responses of those who see it are important to the art piece. Artist and Society- Visitors explore the works of art that are responses to political and social context. Materials and Objects- Visitors will examine the collection of artists who have incorporated new and unique methods and materials. Start Display- This collection is comprised of many of the most-loved works of art in Tate’s Collection. Living Cities- View artists interpretations of the modern city. Voices- This collection is a display of live art, the moving image, and installation. These works of art are meant to examine the various aspects of human voice. Between Object and Architecture- The artworks in this collection build a discourse with the spaces and materials of buildings. The Tate website offers several games, interactive activities, and virtual exhibits for children to explore. These activities are mean to teach children about art elements, artists, and the diverse kinds of art. Tate also offers young people a platform for sharing their art and ideas with other young people, creating an environment for inspiration and constructive criticisms to help other young creatives develop and hone their art. Tate Modern offers numerous workshops, film showings, guided tours, talks, performances, and temporary exhibitions throughout the year. Check their website for more information.